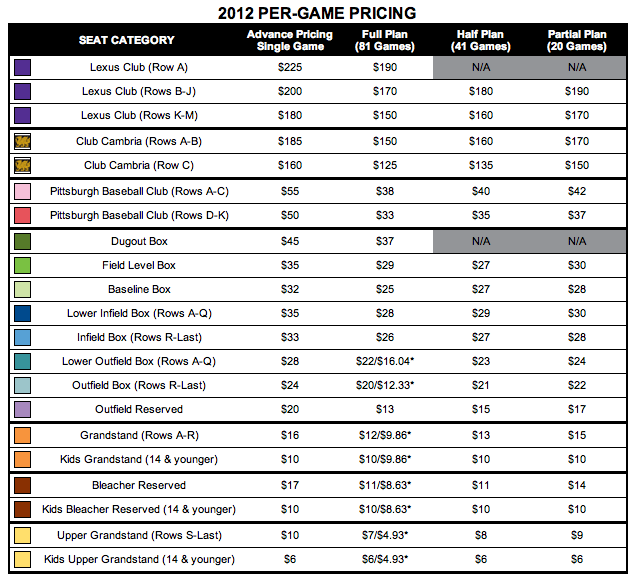 For the first time since 2002, the Pittsburgh Pirates are raising ticket prices. 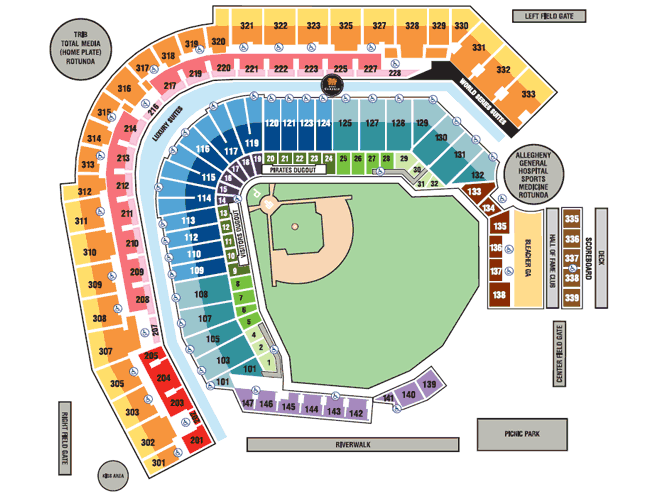 Here is the new seating chart for 2012. It’s not too bad. A lot of people are complaining, although they may have a point given that the Pirates are 15-30 since the all-star break. There are still of plenty of affordable tickets to be had though. The “Upper Grandstand” make the final seven rows of 22 upper deck sections for just $10. The kids pricing will help families out as well. A family of four can attend a ball game for $32. That has to be among the lowest in all of the MLB. Their division of pricing is confusing. Take the regular grandstand for example. The view from section 333 row R is horrible compared to behind the plate in section 316 row A. However, both seats will run you $16. My seat in 329 row B ran me $140 for a 20 game plan in 2011. In 2012 it will run me $300. That’s a pretty steep increase. The Pirates did the right thing by keeping the dent on full season ticket holders as little as possible. Those value plans with all 81 games for as low as $399 will be available to those who renew. Good move there by rewarding their most loyal of fans by keeping their prices ridiculously low. While I won’t complain about the $40 increase for my 20 game plan in 2012 (I will be relocating), there will still be many who do. For those who don’t understand, I suggest taking a look at the prices of teams in similar to the Pirates (Cincinnati, Washington, Baltimore to name a few). Theirs are still more expensive than the Pirates. So before you curse out the team for what they did, think for a second. The same people that don’t like the increases probably are the same ones that willingly shell out $8 for a 16-ounce beer at a game or $5 for a cotton candy as if that makes any more sense. I’m willing to bet the Pirates will still offer discounts (Advantage Card days, PNC check card nights) to keep the prices lower and giving fans more bang for their buck. I suggest you save your anger for something else, such as if/when the teams signs the next Matt Diaz over the winter or if they were to discontinue Free Shirt Fridays. This last week and a half have been trying times for the Pirate faithful. A 10 game losing streak has sent the team in a tailspin from first place to fourth, and nearly 10 games out of the NL Central lead. There have been many lightning rods for criticism during this recent stretch, though no one seems to have more of a storm of negativity surrounding him than third baseman Pedro Alvarez. Some of it has been warranted. He did show up for the 2011 season out of shape which somewhat affected his performance and had much to do with his injury woes this season. His .206/.274/.300/.574 line is bad, especially for a third baseman. The Pirates were counting on him for at least 25 home runs and he has hit just three. On Friday, he turned in one of the worst offensive performances I have ever seen. Add an error to that, and you can’t have a worse game. However, the only thing worse than Pedro’s performance has been the reaction from fans on his struggles. Many are calling for him to be sent down to the minors again. Even worse, others are calling him a “bust” and want him run out of town. I think the Pirates are (Gasp!) making the right decision by playing Pedro every day out there. Here are the reasons why. 1.Small sample sizes misguide the uninformed fan. A lot of people are freaking out about Pedro’s “lost” 2011 campaign. As I mentioned earlier, it is pretty horrible and there is no denying that. However, in no way should the Pirates give up on him. Since he was called up in June 2010, he has played 145 games in the majors, roughly one season. In that time he has hit .239 with 19 HR and 71 RBI with an OPS of .715, hardly an embarrassing stat line for a rookie season. It is complete rubbish to think that a 24 year old has hit his ceiling without even playing 162 career games yet. If we are seeing what we are in 2011 two or three years down the road, then it’s a completely different story. 2. He is still developing. 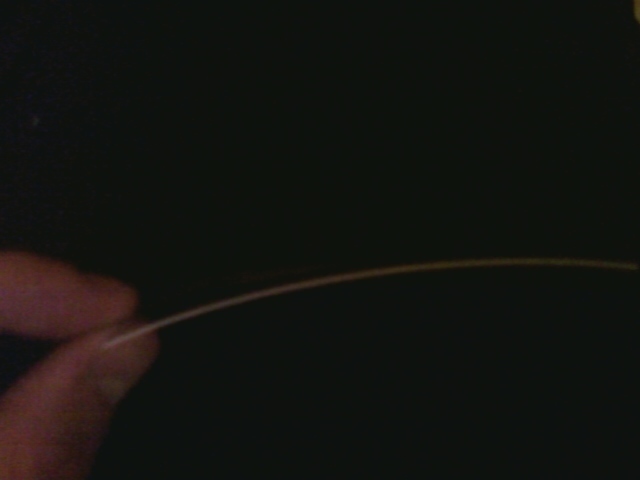 Let’s play a little guessing game. See if you can guess the players based on their statistics from their first full seasons worth of games in the Major Leagues. 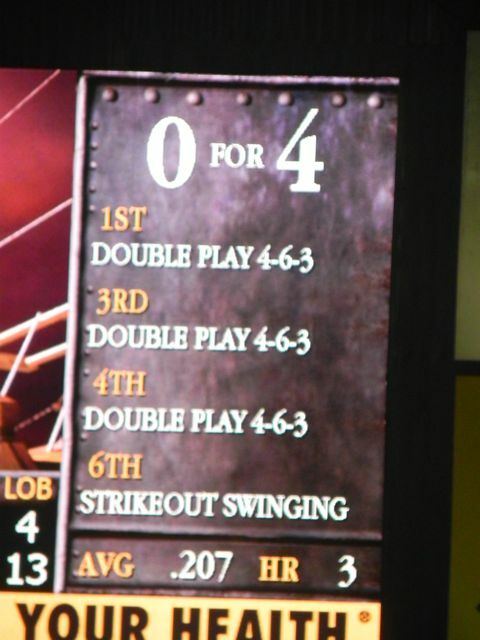 Player A is Mike Schmitt, Player B is Brooks Robinson, and Player C is Pedro Alvarez. Many Hall of Fame sluggers struggled to hit early in their careers, but eventually found their stride. I’m not saying that Pedro will be the next Schmitt or Robinson, but there is certainly evidence out there that a breakout from Alvarez could be coming soon. 3. Playing him in AAA accomplishes nothing. There is a second camp besides the “get rid of the bum” one that thinks Pedro was called up too early from Indianapolis and the Bucs should send him back down. The problem behind that is he has mastered hitting in the minors. In 84 games at the AAA level he has hit .295/.384/.544/.928 (AVG/OBP/SLG/OPS). In AA those numbers blow up to .333/.419/.590/1.009. Having him play against much inferior competition like that wouldn’t help him improve at all. He would become a much better major league hitter by getting reps off of major league pitching. 4. The other options aren’t much better. The Pirates saw many faces play third during Pedro’s time on the DL. While the team won quite a few games with them, the production from this position, no matter who is playing, is actually quite poor. So for those who feel the Pirates would be better off with Wood or Harrison at the hot corner, the substitution would offer little to no help. So what have I concluded here? That there is plenty of evidence suggesting that the Pirates are better off sticking with Pedro Alvarez at third base. A lot of people may not like it, but think about this: Even if he had hit three home runs Friday night against the Padres rather than double plays, the Pirates still would have lost 15-14. Find something else to complain about (ahem, the pitching). Trips to Wal-Mart can no longer be made with making a stop at the sports card display at the front of the store. Since I’m basically done with the Topps set for 2011, I strafed around looking for a good deal. Those $20 value boxes with a bunch of packs from different years and brands looked good at first, until this caught my eye. 8 packs of a quality product on sale for just $12. I’ll take that. If you are unfamiliar with Topps Chrome, it is basically a condensed version of the regular Topps (only 220 cards as compared to 660) that is printed on fancy holographic “chrome” stock. When the yearly design is good, the images pop off the cards and look amazing. My box contained 7 packs plus one bonus pack, which really was just 8 regular packs (stupid I know). Each one has four cards. Since it’s retail, odds of getting something nice are low. This product is heavy on rookies and hobby boxes (24 packs 4 cards per pack) guarantee two on card rookie autographs. Given that this year’s class was loaded with young guns such as Stephen Strasburg, Jason Heyward and Starlin Castro to name a few the results could be nice. I pulled some good rookies in mine. 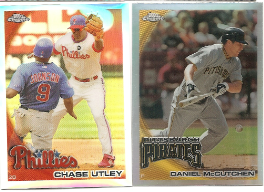 Unlike the regular version of Topps, there aren’t many inserts in Chrome, but rather refractor parallels that add some extra life to the cards with a rainbow sheen in the light. X-fractor cards look cool too. The scans don’t do them justice. They have a kaleidoscope type stock that looks great on display. Another gimmick is Chrome parallels of other products. 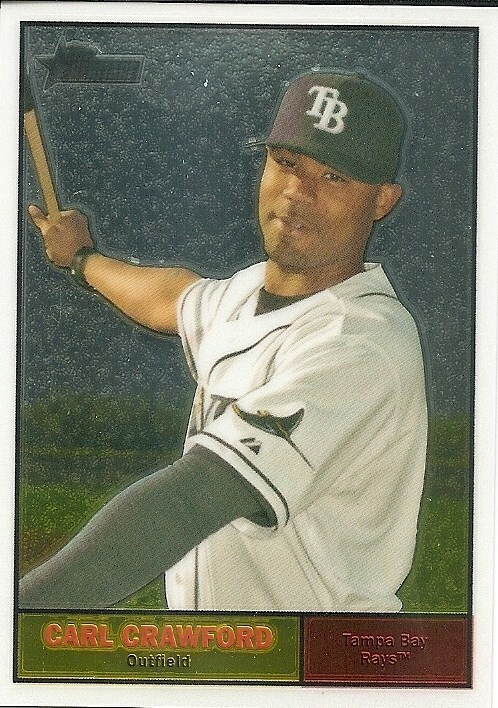 I got this Carl Crawford reprint of a 2010 Topps Heritage. The odds of getting one was 1 in 86 packs so I was happy to pull one here. I do have a couple gripes though. For whatever reason a lot of the cards are warped. Kind of makes them look bad, though keeping them in binder pages will fix that. The cards are not centered well either, which kind of takes away from their look. Another thing I don’t like is how when the checklist gets cut down, a lot of teams get left in the dust. Take the Pirates for example. Only four players made the cut: Andrew McCutchen, Aki Iwamura (???? ), Zach Duke, and Daniel McCutchen. This came out in October of 2010. You would have thought guys like Pedro Alvarez, Jose Tabata, or Neil Walker would have been included instead of bums like Duke and Iwamura. Plenty of great rookies make up for it however. All in all, I can’t complain about this product. Since it got left in the dust thanks to the Strasburg-mania stir caused by Bowman it can be had on the cheap online, though it offers many of the same great young players. The cards are great for keeping in display, especially if you can get them autographed by players (my signed 2009 Andrew McCutchen rookie from this product will forever be my favorite). Some technical flaws keep it from getting my highest marks. 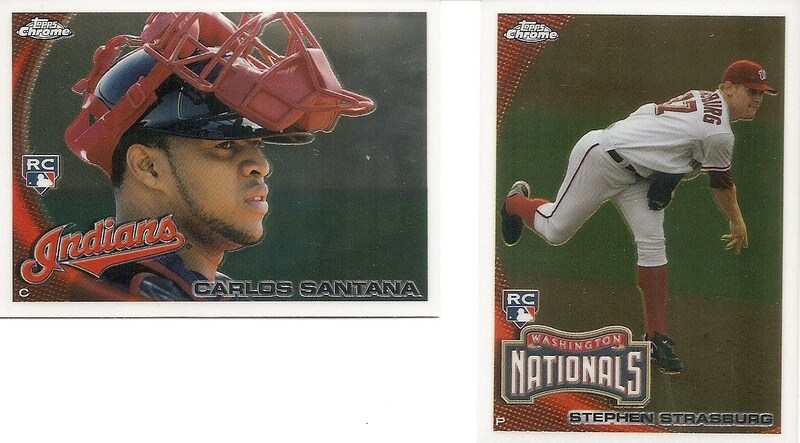 I really hope Topps can straighten that out for the 2011 version. I was beginning to hit the wall. My eyes had grown bleary from the constant movement from T.V. to Tweet Deck for the past six plus hours. I had made it through 18 and a half innings of the Pirates-Braves contest last night, and lived to tell the tale (actually I am pretty sure everyone did). The events of the ground ball Scott Proctor hit in the bottom of the 19th will resonate with me for a long time. That shot of adrenaline as I saw Jerry Meals make the safe sign kept me up until four. Having been an umpire through my teenage years, I understand the stress that comes with the job. I usually give them the benefit of the doubt knowing that their judgement is usually right. I’ve umpped games through rain and snow, from 95 degrees to below freezing. Yet I always knew better than to call it a day early. People can sniff it out, easily and there would probably be a smashed window in my car to remind me. There is no doubt in my mind Meals wanted to get the heck out of there after seeing somewhere in the ballpark of 600 pitches. It just didn’t matter to him. But I’m not going to let that ruin my enjoyment of what will probably be one of the best games any of us will ever witness. The Pirates got three quick runs at the start of the game. A big triple from Neil Walker and a bomb of a home run from Michael McKenry were the key hits. The Braves fought back scoring three of their own in the bottom of the third despite having the first two batters of the inning get out. Both starters Tommy Hanson and Jeff Karstens didn’t go deep due to high pitch counts early. The bullpens became the stars of the night afterwards. Inning after inning. Jam after jam. Neither would budge. There were enough escapes to make Houdini jealous. Situations like that are what make for great baseball. Will this be the winning run on base now? Is this the pitch that ends it? How much longer can it go on? The sideshows that went on also added another fun dimension to the game. As the stadium emptied out, a girl could be heard screaming her lungs out for her beloved Buccos before every pitch, even though the clock read past 1:00 a.m. A group of college kids attempted balancing a huge stack of over 100 souvenir cups they had collected from the nearly empty Turner Field. Hearing Greg Brown and John Wehner trying to keep themselves awake and coherent made for a classic broadcast. Yet after the whole debacle was settled, and the venting online was made, I took a second and appreciated what I saw. I saw two teams on a muggy night give it their all over the course of what was essentially a little more than two games. It’s unfortunate the way it turned out. I was upset that I didn’t record it, just for having in the future. The Pirates should probably release it on DVD as I don’t think there have been many more exciting games in the team’s history. I know I would buy it the second it comes out. If anything, this game let me know just how much the revived Bucco Nation is into this team. Here it was, 2 a.m. on a Wednesday morning, with Twitter and Facebook crashing from all of the people commenting. The real concern here is if the team lets it affect them in the next few games. It could, but I highly doubt it. Clint Hurdle knows these Pirates are better than that. The best part is the players know it too. With the Pittsburgh Pirates’ success in 2011 coming out of nowhere, the inevitable fact of so called “bandwagon” baseball fans coming out of the woodwork came true. Crowds of 10,000 or so in the opening months of the season turned into capacity crowds that have the Pirates pushing 2,000,000 fans in attendance for the fourth time in team history. Well, at first I was quite upset. I liked coming to a a quarter-filled ballpark without having to worry about crowds, lines, and traffic. I think the turning point of how I felt came on July 8, a game against the Chicago Cubs. We all know that the Bucs pulled out a resilient victory thanks to a clutch home run from Michael McKenry. But what I did take out of the game as much of that emotional win was the crotchety older gentleman seated next to me who spent most of the game complaining about all of these “bandwagon hoppers”. After saying aloud his displeasure for seeing all of these people “who have never been to a game in their lives nor care what goes on” for the fifth time, it finally hit me. It’s absolutely stupid to not like more fans discovering a team, and even more stupid to let it affect your enjoyment of your team’s first pennant race in your lifetime. Yes, I might have to wait in line for food a bit longer or spend some extra time in a garage when the game is over, but do you hear the crowds and the enthusiasm they have for the team? Heck, on a Monday night, fans were on their feet in the first inning trying to give their support to Charlie Morton as he tried to get out of a jam (after over two hours of rain delays no less!). Games have become exponentially more fun to go to since fans started turning out in droves. It certainly is much better than the sea of blue empty seats that became commonplace over the past decade. It can use some work (here’s looking at you Saturday night drunks and wave starters) but in time, PNC Park could be a very tough place for opposing teams to play. Just ask anyone at the game this past Friday against the Cardinals how loud it got before the bottom of the 9th. With that said, it is quite amazing how many young people I see around the park now. This so called “lost generation” is turning out in force and showing that the past 18 years haven’t completely turned off Pittsburghers to the game of baseball. Not all have been going to games since they were three years old like me, but they aren’t stupid. They have played baseball and softball and know the game. Here’s hoping this “new generation” can keep the momentum going. The old folks that said they would never be back, now are starting to return. Many realized the errors of their ways and admitted it. After all, like religion, there are always opportunities for redemption and coming back to the light. So next time you scowl at the lines to get your Primanti’s sandwich or get a ticket, just remember the options: Crappy, irrelevant baseball that is more convenient or a pennant race with fans flocking to see the Buccos. I’ll take the latter every time.